What if it was easier for you to be involved at the early stages of a product’s design? 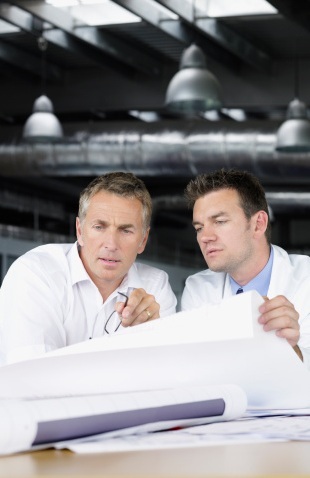 What if you could conveniently provide feedback to your design engineers? What if you could predict the manufacturing costs even before detailed design began? DFMA software tools from Boothroyd Dewhurst, Inc., make it all possible. Here’s an example. You may know a part designed as a sheet metal stamping could be more cost-effectively manufactured using a different method. You want to efficiently communicate the alternatives back to the design team. DFMA allows you to show, in both graphical and tabular form, the different costs associated with different manufacturing processes and materials. The ensuing discussions can focus on data, rather than on opinion and hunches. You’ll be able to clearly communicate that a specific process will be the lowest-cost method. DFMA can help you understand and quantify the impact of alternative designs on manufacturing, from the earliest stages of a product’s development. Once again, you’ve received the drawings for a part. Once again, the part is late—the design team had planned on getting the part to market months ago. Now you are expected to start manufacturing it, ASAP. But one look at the drawing and you know that the company will end up paying twice as much for the part as they want to pay. You also have a pretty good idea what the alternatives are. But you have three problems: First, it will take too much time to get reliable price quotes from vendors; second, you need an efficient way to communicate your concerns and suggestions to engineering; and third, you’ll need their help redesigning the part before you can get meaningful quotes. DFMA lets you create and price alternatives, without depending on vendor quotes or detailed designs. You’ll be tapping into the world’s most comprehensive database of processes, materials, and machinery. You’ll be able to produce documents that guide productive discussions and lead to agreement on the right approach. And most importantly, you will be able to put all of your expertise to work in a way that helps the company manufacture the best product at the lowest price.